You have come to the right place if top all inclusive vacation resorts in Cancun are what you are looking for. In most reputable travel and tour websites like TripAdvisor, Villa del Palmar Cancun is among the most celebrated and one of the top all inclusive vacation resorts in Mexico. This is evident by the consistent positive reviews given by satisfied customers who have stayed at this resort. What do the best all inclusive resorts have in common? The top all inclusive resorts get the best reviews due mainly to the variety of food choices they offer. When choosing an all inclusive resort, you want to make sure that all of your family members or companions will get the meal they want according to their preferences. 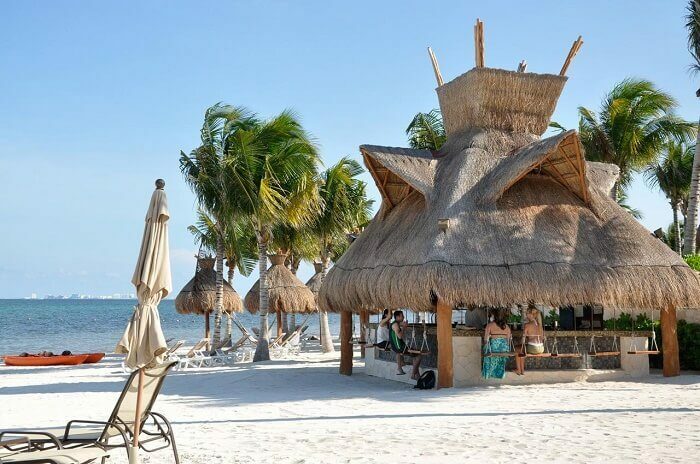 The best all inclusive resorts will make sure that you can eat something different every day of your vacation for every meal; that might mean a wide range of options at just a couple of restaurants or a wide selection of specialized restaurants. More importantly, food quality is a big reason why resorts come out top amongst the best all inclusive options. A great reason that makes Villa del Palmar among the top all-inclusive resorts in Cancun, Mexico is the variety of foods that it provides. A wide selection of dishes is available through its five resort restaurants with a distinct room service menu. Plus, a gourmet snack bar serves guests for light meals and poolside dishes. Many all inclusive resorts in Cancun cut costs by serving average-tasting and mediocre quality of food in abundant amounts; Villa del Palmar Cancun’s restaurants emphasize quality and a la carte gourmet meals each time. Talented chefs choose and craft the best meals using the highest quality ingredients and innovative food preparation techniques. The cuisine quality is exceptional, setting high standards for other all inclusive resorts in Cancun. For those with eat-all-you-can appetite, the resort has a delicious buffet restaurant, Caprichos. It serves abundant variations of international dishes and you can keep going back for more and more. Despite the resort offering a la carte dining, there is also no limit as to how much food and drinks you may order at Villa del Palmar Cancun. This top all inclusive vacation resort satisfies every guest’s food longings with its 24 hour room service. Whenever food cravings strike you, your resort restaurant is there to fill up your appetite with only the best food and drinks. Not only that, there are only a few dishes that incur additional charges. ← The Villa Group Scam Truth – Get the Facts!